CommonMind Music (CMM) is a neo-soul/jazz band that originated in 2011 in Valdosta, Georgia. CommonMind officially began in the fall of 2011 when most of its members started in the music program at Valdosta State University (VSU). Brought together through the school's jazz bands and gospel choir, they wanted to expand upon their knowledge of music as a group. After being contacted by former vocalist Alicia DeBerry, CommonMind played their first show as a group in September of 2011. The performance was on the 1st Friday of the month at Fruits of the Garden Winery in downtown Valdosta where the owner was Blanche Boykins. Fruits of the Garden became a regular showcasing for CommonMind on the 1st and 3rd Fridays of each month until the closing of the Winery in May of 2013. CommonMind's group members include vocalists: Iborya Jones, CaShala Huntley, and Brittany Mackey and instrumentalists: Nick Johnson (Saxophone), Brian Mathis (Keyboards), Darren Riser (Keyboards), Anthony Bussey (Bass), and Travis King, Jr. (Drums/Percussion). Past members include Alicia DeBerry, Joseph Isagba, Nikki Dickson, Victoria Dubose, Ashley Dudley, and Justin Brown. 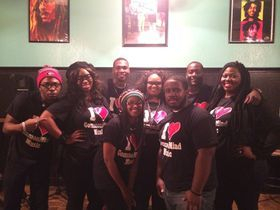 CommonMind has been performing all over Valdosta and surrounding areas since its start up. Events have included weddings, baby showers, birthday parties, fashion shows, festivals, and church events. They have also performed numerous times on the campus of VSU with their most notable performance being on April 3, 2013 at VSU's Battle of the Bands during the inauguration week of the university's ninth president, William J. McKinney. CommonMind took home 1st Place in that competition. This talented group of common-minded musicians share a passion for music and they love to share it with everyone they can.